Pretty Bird was founded by Michael Massie with the goal of providing the best possible foods for your companion animals. Unemcumbered by history, Pretty Bird has taken a fresh approach to nutrition and applied new ideas and technology to solve old problems in unique ways. Initially working with prominent breeders, Pretty Bird launched a nationwide grass roots distribution network which resulted in rapid growth in the marketplace. Our continuing research and application of new ideas allows Pretty Bird to continue to meet the changing needs of companion animals and their owners. Modern times demand innovative solutions to old problems. Quality is our primary concern in food, packaging, and customer service. We operate an in house quality assurance lab with a microbiologist on staff. An independent laboratory runs continual analysis to assure consistency in composition. Our in house toxicology lab screens all incoming grains for toxins. This ensures the purity of any raw materials in the manufacture of our feeds. Our breeding and research facility in Florida is always using the food which is currently being sold providing an additional quality assurance safeguard. We do it ourselves to make sure it's done right. 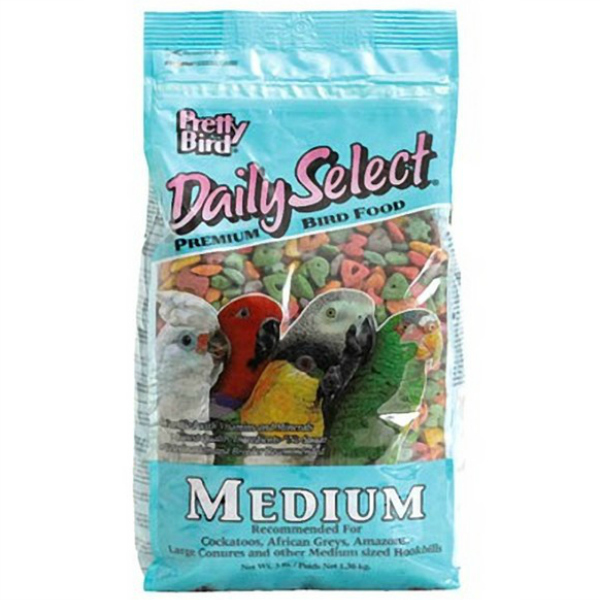 In 1995, when only 5 years old, Pretty Bird acquired and installed one of the most technologically advanced extrusion facilities for the manufacturing of pet food products. Our system is based on Swiss made twin screw extruders, this high-tech equipment is commonly used to produce human breakfast cereals. One Buehler extruder has the capability to produce 4 tons of food per hour, 24 hrs/day, 7 days/week. A smaller Buehler extruder was installed for research and specialty products. This smaller extruder has a capacity of 200 to 1500 lbs per hour, making it economically feasible to produce small bathces or test runs of food. Quality customer service has always been a primary objective at Pretty Bird. We have always had an 800 help line which is managed by experienced knowledgeable people. We are happy to provide advice on feeding and other aspects of captive management of exotic companion animals. We love to hear the questions or ideas of veterinarians, breeders and pet owners. Please give us a call at 1-800-356-5020 we may be of assistance. Pretty Bird leads the industry in brilliant, colorful packaging featuring original hand-drawn illustrations. Our in-house artist, David Charles Brandon, has developed a style that is uniquely Pretty Bird. 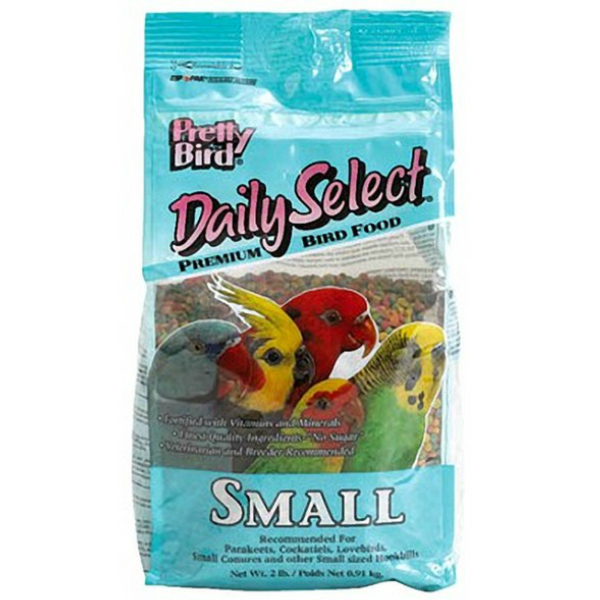 Pretty Bird products are available in various sizes to meet all needs from single pet owners to breeders. 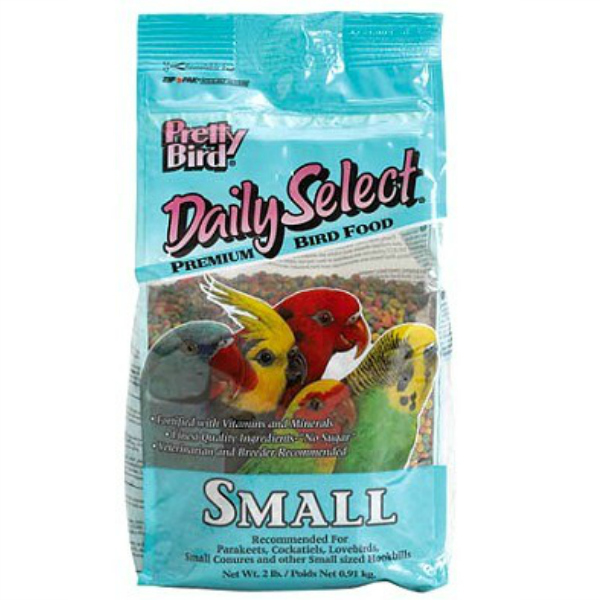 Attractively packaged in canisters, plastic and paper bags to ensure freshness on delivery and provide a visually appealing addition to the bird section in your favorite pet store. 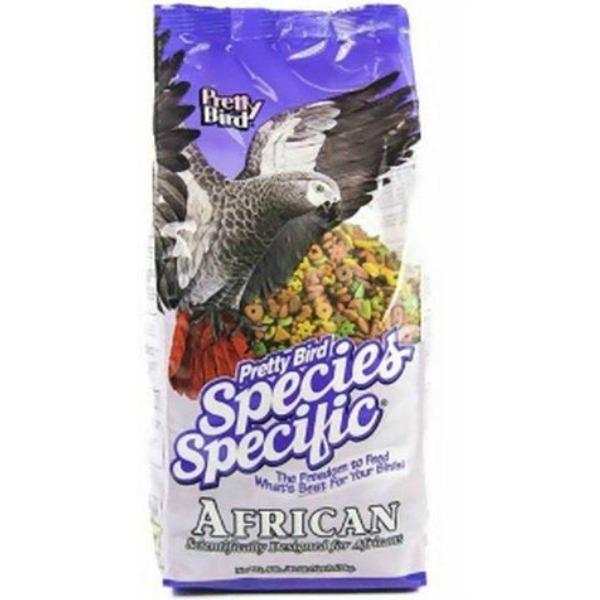 Pretty Bird/Pretty Pets offers an extensive array of food products for birds, reptiles, and small animals. We are constantly developing new and exciting products for your favorite pet. 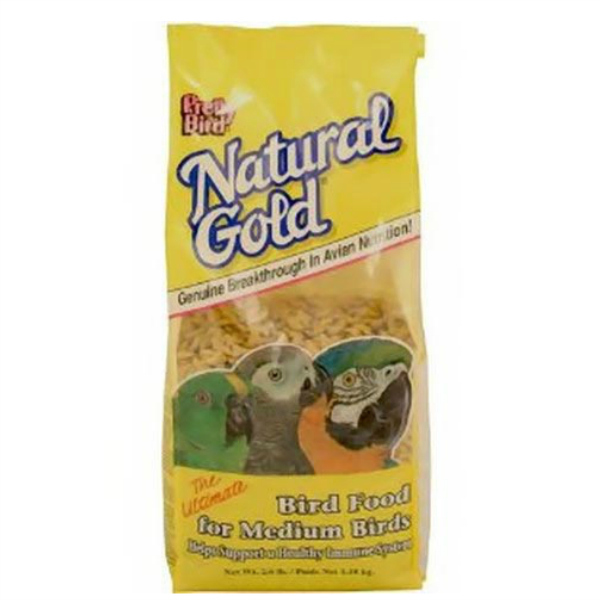 Our Pretty Bird Division offers a full line of avaian food products for your feathered friends. 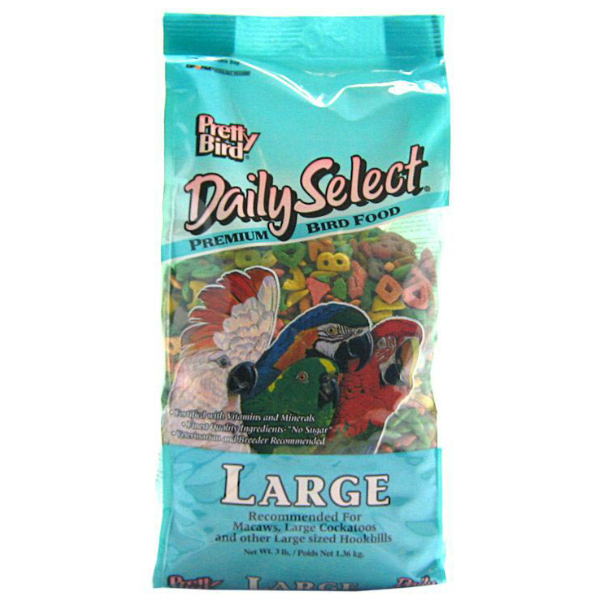 Our Pretty Pets Division offers a full line of foods for our non-feathered companion animals. Pretty bird provides food for over 35 avian rehabilitation projects in the US as well as abroad, including Panama, Indonesia, and Europe. 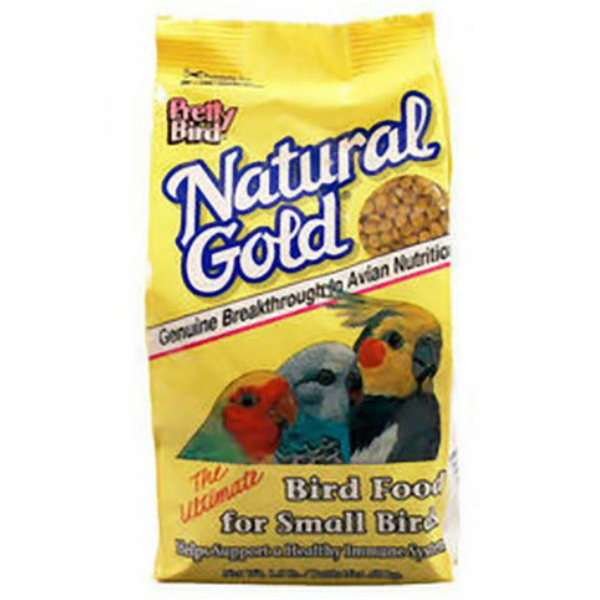 Pretty Bird is committed to providing the best quality nutritional products for your exotic birds and animals. We are committed to providing the best value, service, packaging, and marketing. We are utilizing state of the art technology combined with extensive research and testing in order to lead the field in development of innovative, practical products. Please let us be of service to you.